This design is perfect for any baby! 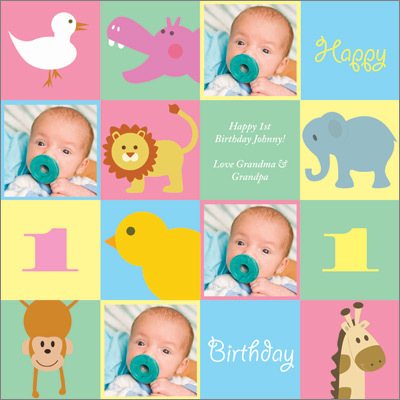 Pastel colors and friendly animal characters create a checkerboard pattern on this personalized Personalized Wrapping Paper. Upload four photos, write a custom message, and display your child's age.